Delivering the Freshest Flowers and Brightest Smiles! 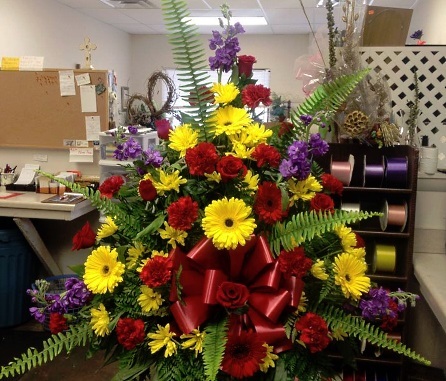 At Audra’s Flowers, customer satisfaction is always our top priority. We understand that flowers are expressions of your own feelings for your friends and loved ones. We are family owned and operated and we take pride in our quality work. 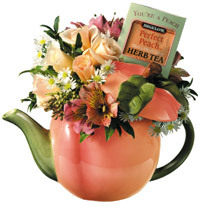 Teleflora’s hand-painted miniature fruit teapots make a perfect gift for any occasion. These teapots are not only filled with beautiful flowers but each teapot includes a tea bag in a matching flavor from Bigelow®. Arrangements start at $37.50. In addition to fresh flowers and lush green plants, we also have snack and fruit baskets, gourmet baskets, silks, household arrangements, cuddly plush, and balloons for any occasion. We also carry Teleflora products.